I was fortunate to meet Mel Lechte, founder & director of @organic.crew back in December at a local design market. 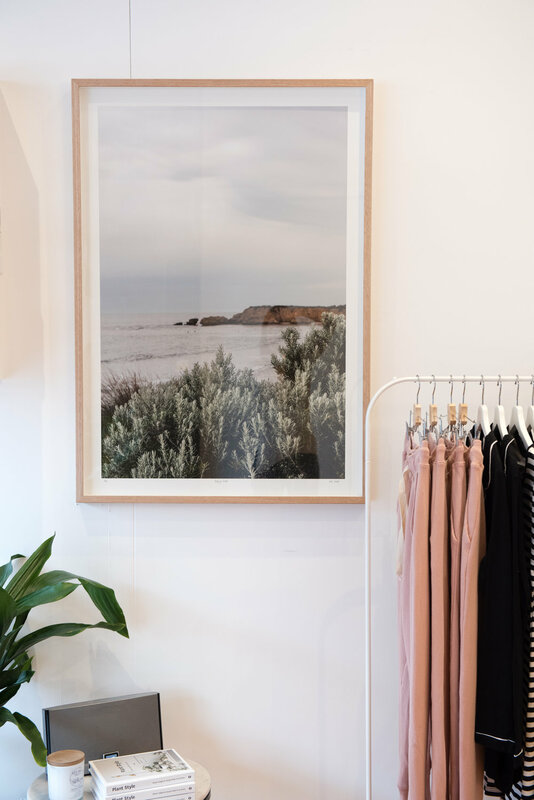 I was admiring the beautiful range of clothing at her stand and we got chatting, both about her brand, and my photography. It turns out we both share a similar aesthetic when it comes to our work, and an appreciation for things natural & organic. It will come as no surprise that I was thrilled when Mel told me that she would like to have my work in her first concept store, and came to visit me at the studio to choose the right pieces for the space. I stopped by to visit the new store recently, taking a few photos, and trying not to buy one of everything on the way out!